Billy Joel wore a Star of David onstage at Madison Square Garden to protest rising anti-Semitism. 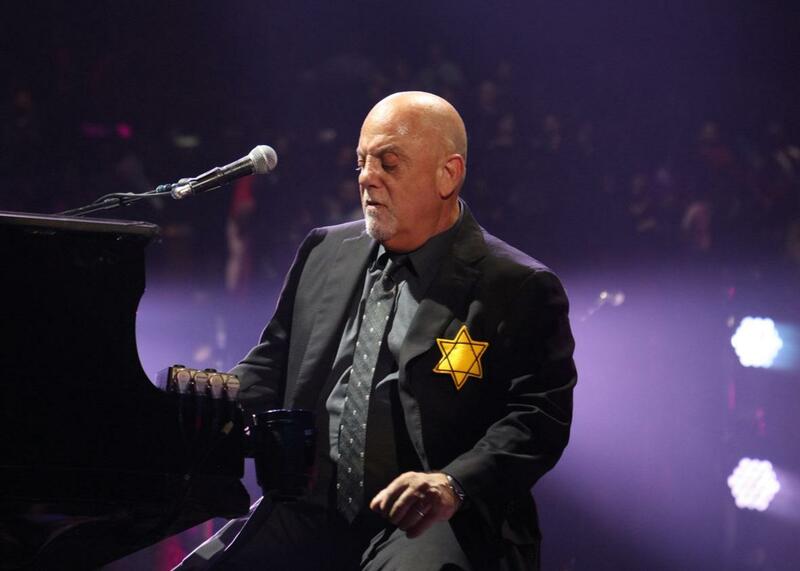 Billy Joel took advantage of his monthly concert at Madison Square Garden to protest the public resurgence of neo-Nazism, arriving for the show’s encore with Stars of David pinned to the front and back of his coat. He also took aim at the Trump administration by duetting with Scandal’s Patty Smyth on “Goodbye to You” as images of ousted Trump officials including Sean Spicer and and his fellow Long Islander Anthony Scaramucci flashed on a screen behind them. Joel was raised Catholic and even baptized, but his parents are both Jewish, and though he considers himself an atheist, he identifies as a “cultural Jew.” He has generally stayed away from public political statements, telling Rolling Stone in June, “I am a private citizen and I have a right to believe in my own political point of view, but I try not to get up on a soapbox and tell people how to think.” But the white supremacist rally in Charlottesville, Virginia, and Donald Trump’s tepid “on many sides” condemnation of it, evidently moved him to take a very public stand.